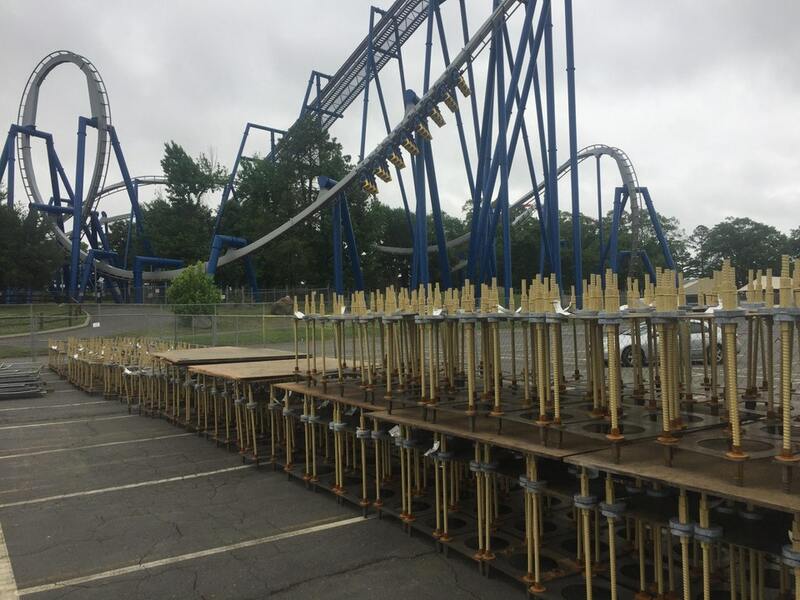 Carowinds Begins Clearing an Are For A Brand New Roller Coaster. 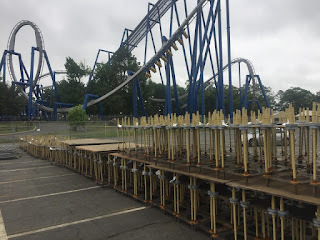 The 2019 project is well underway as Carowinds clears the area and prepares footers. 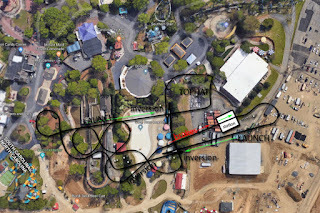 The footers and layout appear to be by MACK rides out of Germany. Whether the coaster will be spinning like their recent addition to Silver Dollar City is unknown. Reddit user dirkdiggler1992 visited the park Friday to find footers for the coaster on site. Carowinds has also posted a webcam following the construction, which can be seen by following this link. 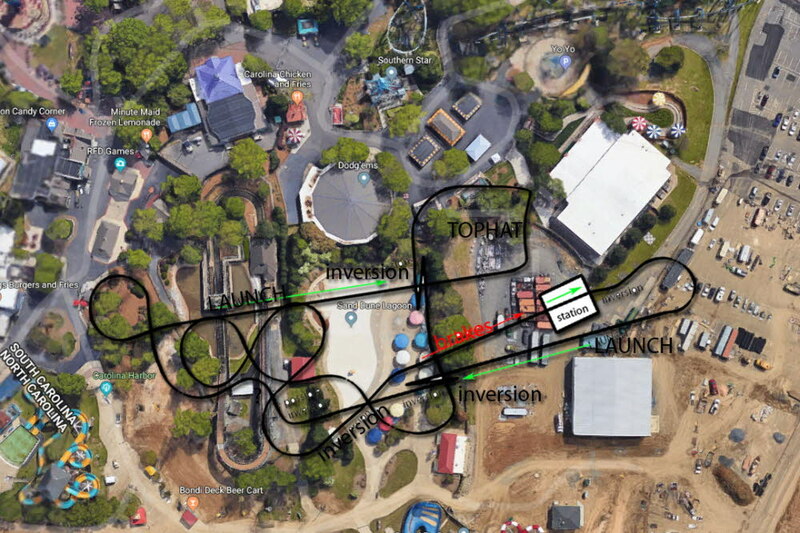 The coaster is thought to have 2 launches, one into a vertical loop, and the second into a top hat. The coaster is expected to be open for the 2019 season. Another view of the layout posted by Reddit user jecole85 can be seen below, the supports give us great height references.